i hope you dont live in maryland because you possibly just posted illegal hunting activity. 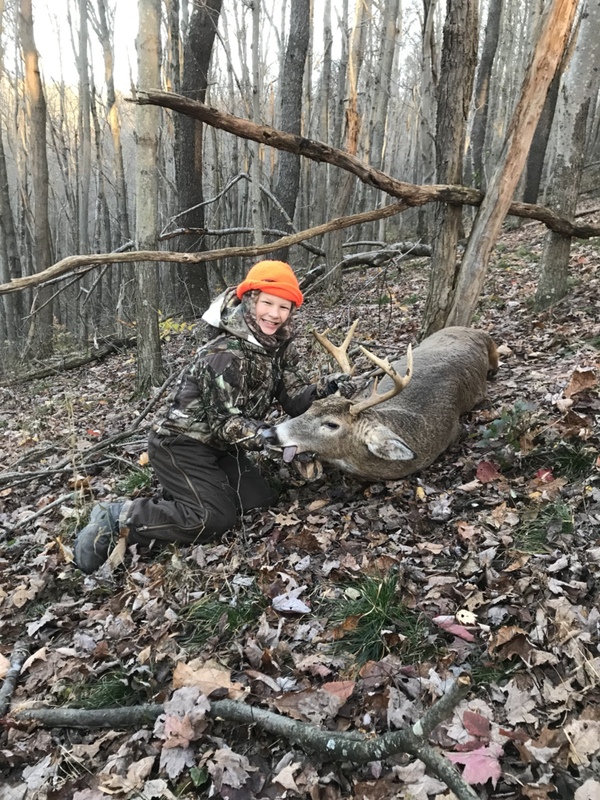 Youth hunt 2016, doe season 2016, youth hunt 2017. How is that illegal.. You assumed I meant he shot those on youth day? I think it was the 1st, second, third thing. He didnt realize it was different years. some places was 1 buck then 2 does before getting a second buck. I can see how that could be interpreted that way. I guess there would be people dumb enough to post illegal hunting. I am a law abiding hunter and I am teaching my son that as well. No need to worry about illegal hunting from this clan. For proof of that statement check out Maryland Bow Hunters on facebook.....its like a DNR dream. Heehee. The law always looking for an excuse to catch someone tripping up. I get it. Super happy kid. Very proud dad. Congrats to your boy, he got a nice reward for braving those low temps we had during the youth hunt. Instead of bow hunting tonight my son wanted to go after squirrels. No sooner do we get in the stand and he loads his .22 when here comes a 6pt meandering on through the clearing in front of us and we have no bow. The evening wasn't a total loss though, that buck was barely out of sight when he shot his 1st squirrel. And my fone is screwed up. I took a pic of him holding 5 squirrels and sent to his Mom but I cant take it from the message app and post it here. I never knew they were so hard to skin. They're soaking in brine and I'll be looking up recipies. Just a tip, brine will toughen them. Soak in butter milk. The acidity will help tenderize.